Robert B. “Bob” McMillen was born and raised in Bridgeville, Pennsylvania. As a young man, his first job was working in his father’s pharmacy, and after graduating from Denison University in Granville, Ohio he served in the Air Force. Eventually, he found his true calling: working in the transportation industry. His great love of the maritime industry and his capable leadership helped he and his partners create a strong, successful holding company: SaltChuk Resources, parent company of Totem Ocean Trailer Express (TOTE), Foss Maritime and many others. Bob remained President of TOTE for over 15 years, and a company executive until the time of his death in October of 2002. He was very proud of the 25 years he served as a leader of TOTE. His partners, employees and community leaders remember his contributions with respect and admiration. “His integrity, generosity and leadership have created a proud legacy”, said AMO National President Michael McKay. But as admirable as his business accomplishments were, there are many who will remember Bob for his remarkable devotion and commitment to the communities of the Pacific Northwest. He served on the boards of several organizations and institutions, including the Seattle Chamber of Commerce Alaska Committee, the University of Washington Foundation, and the Tyee Board of the University of Washington and Alaska Pacific University, among others. 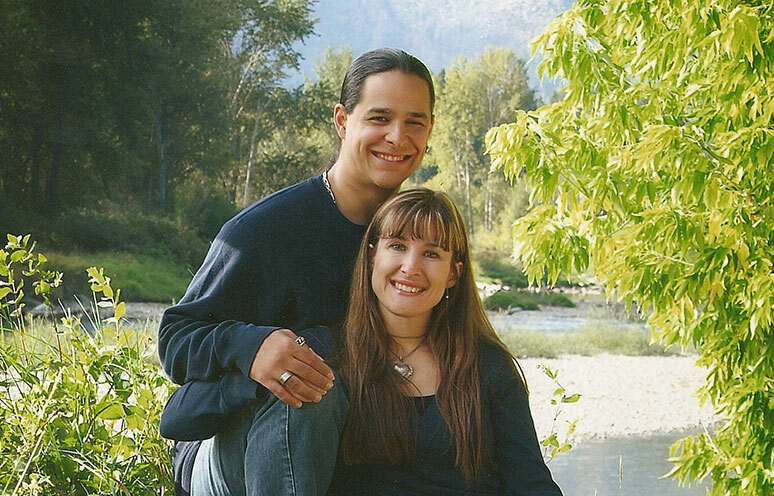 He had great compassion for medical causes, and served on the Board of Directors for the Swedish Medical Center Foundation and the Washington State Chapter of the Leukemia Society. Bob McMillen’s generous spirit will live on in the efforts of this Foundation, and continue the legacy of caring. What does one do when upon the death of their father, when they are told they have unexpectedly given birth to a baby foundation? First, you are awe-struck, then you get excited, then you are overwhelmed. Then, you dig in and look deep within your soul, taking the intentions of your father along with the thought that it is your life that will be running the organization henceforth. We looked into our past experiences, to the things that formed the fiber of who we were. At that core was art and creativity. This inspired the vision for the educational and social wings of the foundation. We believe in making ripples in the pond, and even though we have decided to make fewer grants worth larger amounts, it is our hope that the organizations selected will make ripples that will become great waves in the world. 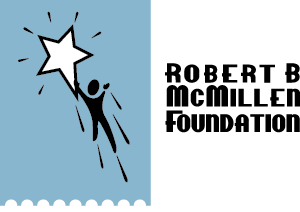 The Robert B McMillen Foundation is a non-profit charitable foundation established to; promote research in the areas of cardiology, lipid and organ transplant, support education at the university and college level in the states of Washington and Alaska and provide funding for social service organizations. 50% of our annual giving is earmarked for medical research. Funding is provided to support research in cardiology, lipids and organ transplants. Preference is given to programs or projects which benefit children. 25% of our annual giving is earmarked for Education at the University level in the states of Washington and Alaska. Funding is provided in the form of scholarships benefitting Visual Art majors. 25% of our annual giving is earmarked for social areas including, but not limited to, Goodwill, Salvation Army & United Way. Preference is given to organizations who use art as the vehicle to build community and impact individual lives. We are not interested in naming opportunities or being included on public lists.